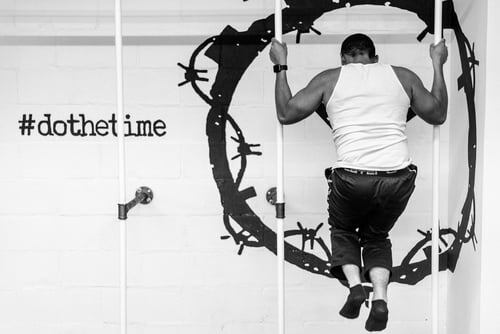 Developed by a former convict who dropped over 70 pounds in 6 months while serving his sentence, ConBody uses bodyweight-only, military-inspired training to get you mega results in little time. While the workout is challenging, you can also expect a motivating, team environment. 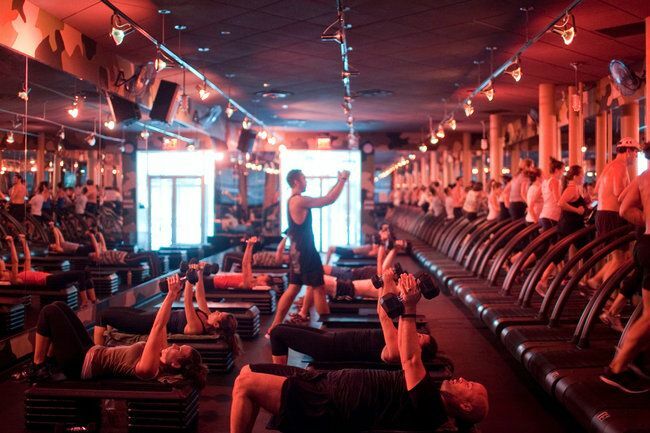 An hour-long class at Barry’s Bootcamp can have you burning up to 1,000 calories per hour, meaning this is one serious workout! Each class is different, but incorporates intervals of treadmill cardio with strength-training using free weights, resistance bands, medicine balls and more to work your entire body in different ways. The MADabolic program is based on the M.A.D. Theory, which fuses crazy momentum-based intervals, anaerobic speed and power drills, and durability drills to built stability and challenge your body while working at a more controlled pace. Though its designed to boost your metabolism like crazy, you can also expect better functional movements, improved strength and better cardiovascular endurance. Whether you take the 75-minute class or opt for the 60-minute at-home option, STOKED 360 is a workout that leaves no muscle untouched. Expect circuits of primal bodyweight movement, plyometrics and core work that flow effortlessly into each other and are specifically designed for maximum results. Oh, and your recovery interval is jumping rope. ‘Nuff Said. Though each movement is done as slow as possible, don’t be fooled – this is one tough workout! 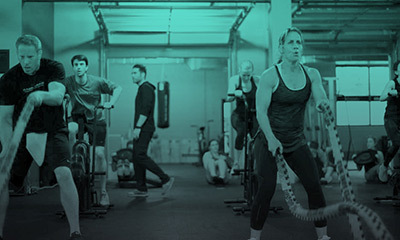 The entire 50-minute class takes place on machines which uses spring to provide constant resistance for a low-impact workout that engages every single muscle, often using compound movements for a real burn. 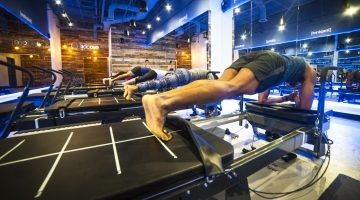 Often noted as the most challenging barre class, FlyBarre is a more athletic-based version of barre, with added cardio. You can expect plenty of pulsing and muscle-twitching, all set to heart-pounding music. This calorie-torching workout uses kickboxing movements to challenge your entire body. After the class of cardio work, bag work and core moves, you can expect a crazy boost of confidence that will leave you wanting to come back! The Top Barre Studios and Classes Across the U.S.